"We are all meant to be mothers of God..."
Sr. Pat Daly, OP sent Benincasa a card with the above quote. We understood its meaning, as we were not long ago strangers who became friends, friends who became family, and then family who became co-creators. We often start sentences with this phrase: “Can you believe that just one year ago we …” Didn’t know one another? Just moved in? Fixed up the Fifth Floor? Hosted 100 people? Began operating the Soup Kitchen? Although we are still knee-deep in wonder, we do have a sense of our purpose, our gifts, our strengths and our limits. Our “Eckhart Program” with the Dominican Sisters brings fresh, local, organic food to parishioners and neighbors and brings parishioners and neighbors to gorgeous, welcoming Harmony Farm. Groups like “War Resisters League” and “Million Hoodies for Justice” made use of our home this month for retreats and gatherings. We will continue to welcome activists like Ana Maria Belique from the Dominican Republic, who joins us for the most of August. These summer months, as Benincasa Community develops from “newborn” to “toddler”, we have had the privilege to hold and play with the human babies of our nearest and dearest friends. Six month-old Gabrielle experienced Benincasa Community baby-sitting for one evening in July while Jesse & Sarah snuck away to see Patti Smith. 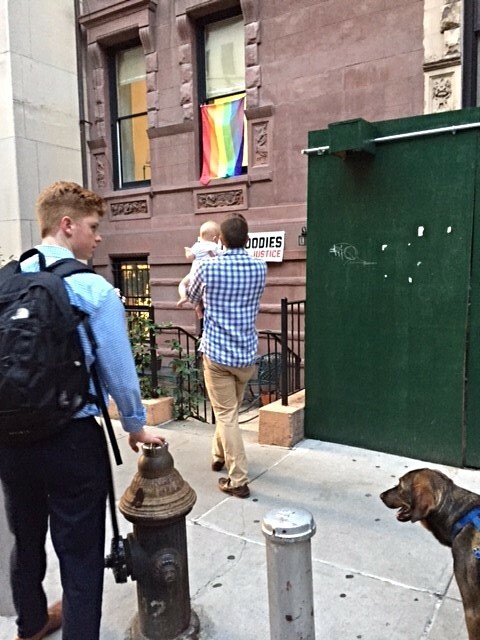 Ted, Amy, six month-old Penny and big brother Eli (2 years old) visited us and helped walk Dominic in Central Park. 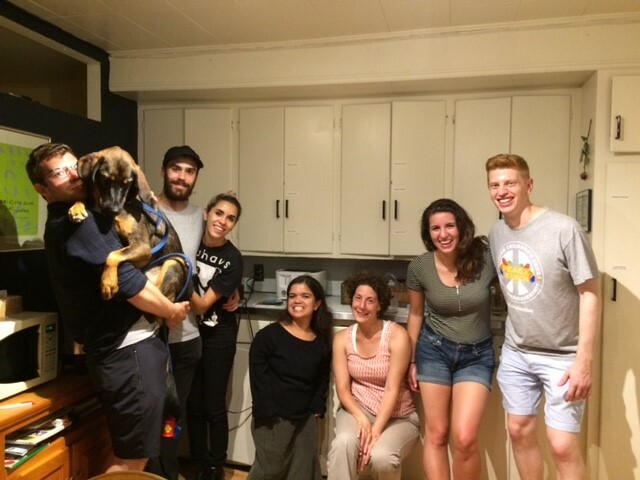 Through much of these warm, humid months of transition and change, Jimmy’s brother Terence—a sophomore at Providence College—accompanied us as he interned in the City. We so enjoy having him close! Finally, we send our best wishes to Kayla Volkmer, who came for a week and stayed for the semester. We’re so glad you did! Come back again for another week!